MB Timber is committed to purchasing materials, where possible, from sustainably managed forests. We are constantly striving to encourage and assist suppliers in joining certification schemes appropriate to their country. 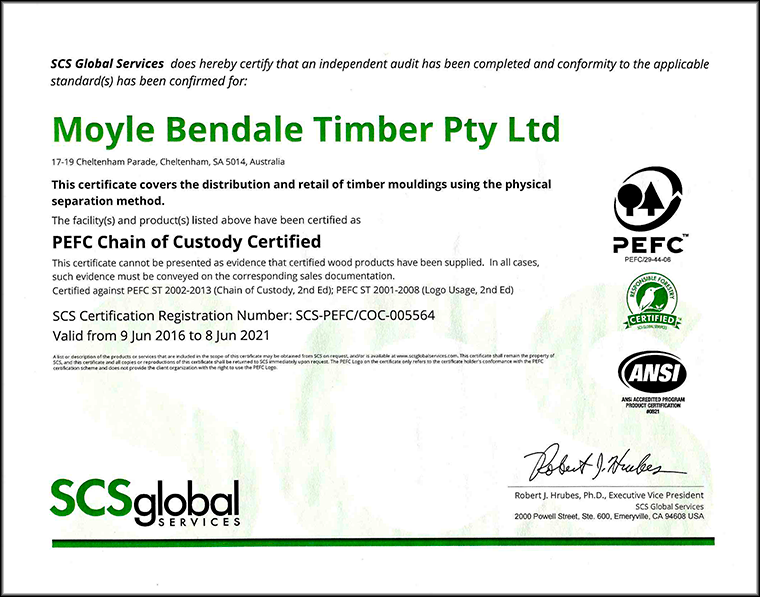 As a leading timber supplier in Australia we have a commitment to source and promote materials from plantation wherever possible. Furthermore we endeavour to join third party “Chain of Custody” services to ensure full transparency, credibility and accountability where possible. Our employees are actively encouraged to understand, and in turn to promote to clients, industry issues, changes and improvements designed to further “best practice” for sound environmental management.